I’m about to sit at the dinner table for noche buena. Just opened up a bottle of sparkling wine, the food is ready, and the house smells fantastic. I’m feeling mellow and good. Moments like these, I believe that the world is all right, and life is beautiful. It’s all the cliches but that’s needed every once in a while, no? Will write you more in an hour or two. That is, if I’m not too drunk, ha. Merry Christmas, M. From my home to yours. I am in bed now. Very sleepy. We’ve opened another bottle of red, one of my favourites (a Chilean wine) and I finished most of it. Guess I’m really feeling better. Now I’m fighting for a few more minutes just so I can send a quick note to people I love and whom I can’t be with physically. Tomorrow’s going to be anticlimactic, I think. So I just want to say that even though my year hasn’t been everything I wanted it to be, perhaps it was what life needed it to be, and in the end I think I have turned out all right. Bruised, I mean–but all right just the same. And even if the day wasn’t perfect, the night–tonight–still had its magic. And hope you are the same. Of their several ages and names. Wherever you are. As ever I remain. 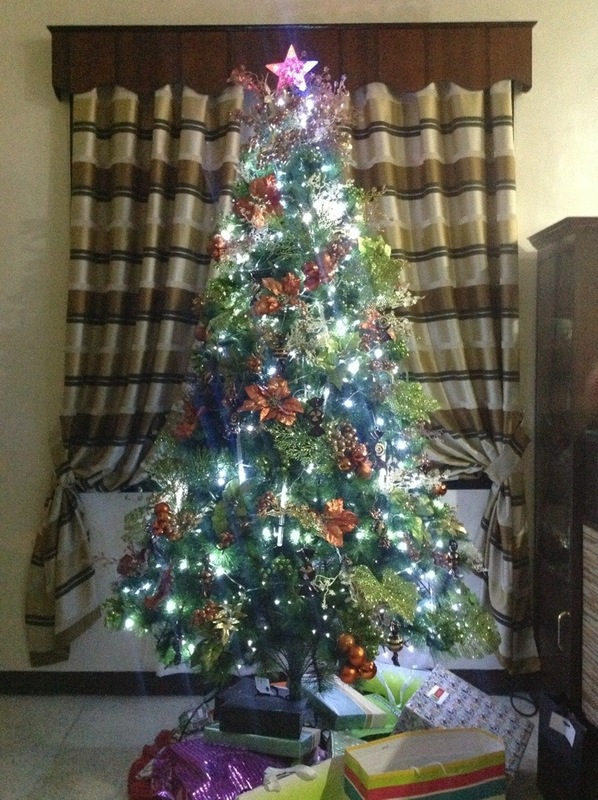 What a beautiful Christmas tree!! I’ll include a picture of ours as well, all decorated! Thank you! I’ve updated my letter just now. Will take another photo tomorrow perhaps when the sun is shining.